Alpacas are modified ruminants who live largely on grass and spend a lot of time chewing the cud. Ad-lib hay should also be available to provide fibre if required. A recommended amount of concentrated specialised camelid feed should be given in order to provide the vitamins and minerals they require. It is worth getting a soil analysis on your land, in order to tailor feed to your local need. Our land is low in selenium we therefore drench our animals with a supplement quarterly. We also give vitamin AD & E paste/injections throughout the winter months. Remember pregnant and /or lactating females will have additional nutritional requirements. We introduce additional fibre and protein via Fibregest. We also give small amounts of sugar beet during the winter months to provide additional energy. Spend time watching your alpacas eat. Any problems with shy/reluctant feeders can then be picked up upon and separate feed provided. Provision of plenty of feeding troughs or buckets is essential if squabbles are to be kept to a minimum. Clean fresh water should always be available. Alpacas will go thirsty rather than drink out of a muddy puddle. 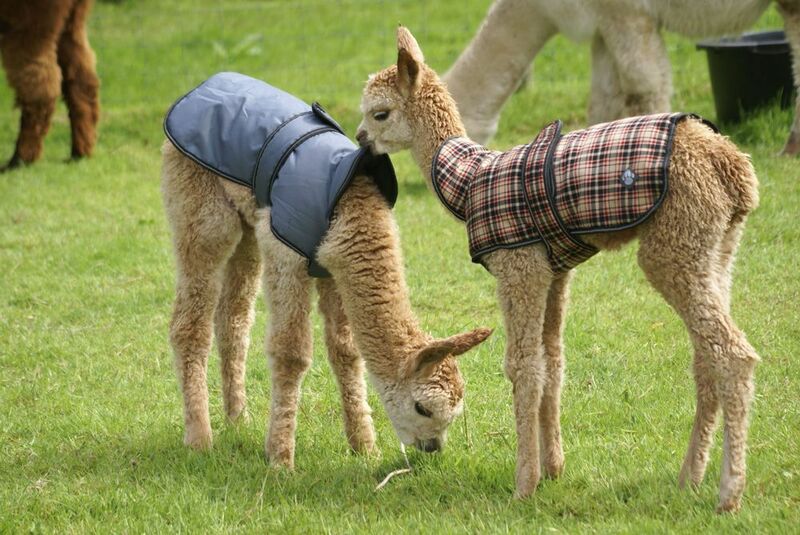 It is useful (especially when they are in full fleece) to condition score your alpaca in order to assess if any animal is under or over weight. This entails placing a hand on your alpaca’s backbone (near the last ribs) and scoring them on a scale of 1-5. 1 being emaciated and 5 being obese. 3.5 is classed as ideal.